It’s Christmas tomorrow yippee! I thought I would share with you how I’ve kept myself organised in the lead up to Christmas this year, especially as I’ve been super busy trying to get my house in tip top condition for Max’s first Christmas. 1. Write a list! Whenever I start a project I have to start by making a list. This means all my thoughts can be written down and I can kind of erase them from my memory, making sure I haven’t forgotten anything as its there in black and white for when I need to refer back to my list. 2. Use Pinterest. I have a specific Christmas board where I’ve pinned, decor photos, recipes, outfits etc and with one click of a button I can flick though all of my pins and select which ones I like and want to recreate. 3. Get help! Ask a family member/partner/friend for help. Being a stay at home mum it’s really easy for all the Christmas prep to fall on my shoulders, however I made it very clear to Freddie I would need help with decorating, cooking, cleaning, shopping. This time last year I was 6 months pregnant at home and didn’t really have much on so I was happy to have the Christmas prep to keep myself entertained. Well this year is an entirely different story! Having Max means I need all the help I can get. Freddie has been amazing and it’s really worked this year splitting the list up and delegating tasks out for one and other to complete. 4. Start by having a ‘Christmas Cleanup’ before you decorate your home. Before any major event (if you’re anything like me) I need a clean/tidy home especially if it involves relatives and friends visiting. Having a baby now means we have Calpol, snot, milk etc infused in our once clean cream carpet. So it’s time to invest in a tool that can turn cleaning from a chore to something pretty pleasurable. We recently got this VAX Dual Carpet Cleaner to whip our carpets back into tip top condition. Check our this nasty Calpol stain! I have spent countless days scrubbing this spot and literally nothing has worked, until I tried using our VAX carpet cleaner and I couldn’t believe the results on our first ever attempt. I kid you not the Calpol stain vanished straight away and my carpet now has a lovely fresh smell, stain FREE! Compared to a few other machines I’ve tried another bonus is the VAX cleaner is extremely light which is brilliant if you have quite a few rooms to get done. We’ve now cleaned our entire house with the VAX carpet cleaner and I can truly say it’s been an absolute pleasure to the point where Freddie and I fought over who was going to do which room. If you’re after a quick fix at a reasonable price I would definitely pick up one of these bad boys you won’t be disappointed. 5. My fifth and final tip is to sit back with a glass of prosecco and enjoy the festivities. After ALL your hard work building up to the big day, it’s time to relax! 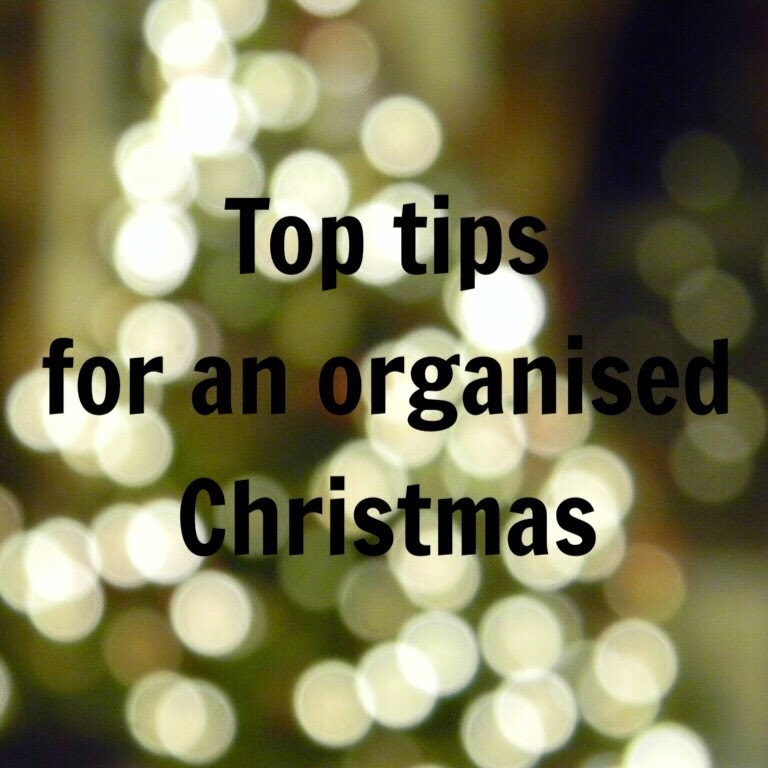 What are your tips for an organised Christmas? I hope everyone of my readers has a wonderful Christmas!